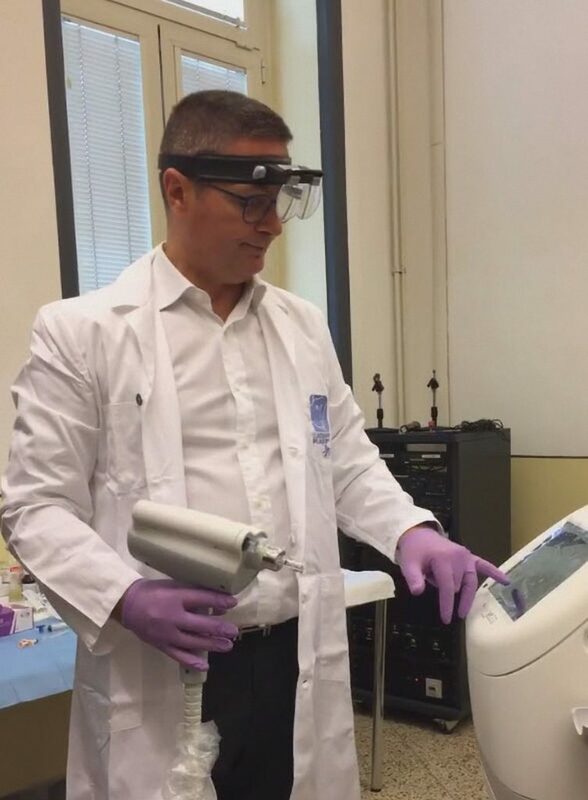 The corses were held on Saturday, 27 of October in halls of the Italian School of Aesthetic Medicine, in Rome, and on Sunday, 28 of October at the School of Aesthetic Medicine Agorà, in Milan. I described the theoretical assumptions and clinical applications of the new technology called Enerjet 2.0. The system allows introducing into the skin or under it any substance without the use of needles. The chosen material (usually hyaluronic acid) is inoculated through a high pressure, that pushes it in the thickness of the skin. After it has been introduced into the skin, the material explodes (we are talking about blast effect) in thousands of small droplets, which are moving in the direction of centrifugal force (just like the fragments of a bomb) and in such way they create, like microscopic bullets, thousands of microchannels. The body perceives these channels as the minor injuries and will repair them according to the physiological restorative cascade, stimulating in a very powerful way the production of new collagen and remodeling itself. This method can be used in the advanced rejuvenation of the face, neck, décolleté and hands. One of its main indications is the treatment of atrophic acne scars, during it method is applied to the deepest part of each scar. In this way, you will see a lifting of each of them. Another particular application of this method is called “Kinetic Lift”, and it consists in inoculating hyaluronic acid in multiple weals, 1 cm posteriorly to the hairline. Then, the procedure is extended behind the ear and, often, also along the line of the jaw. The procedure’s irritating effect will tend to “lift” all the soft tissues of the face. I have performed more than 15 treatments in two days, also facing serious pathologies as keloid scars of the trunk and large burn scars of the shoulder girdle and arm. I am the first one in Italy to use this equipment, and I hope my colleagues will also use it soon.